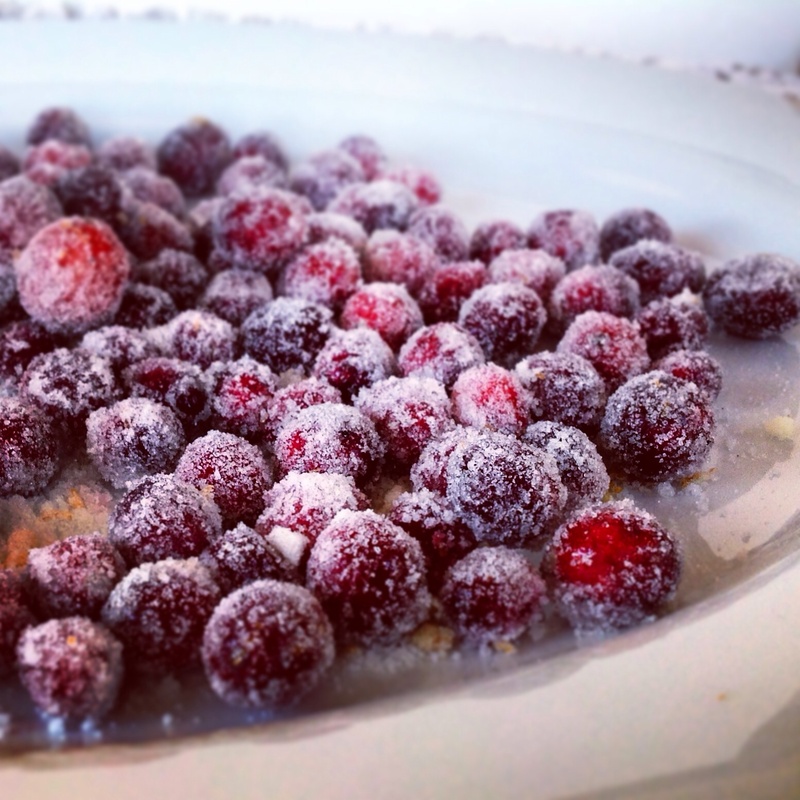 Author note: these candied cranberries are sweet and tart. The vanilla and cinnamon orange sugar give them a subtle sweetness that compliments the agressive flavor of cranberries. The technique was used from Food52’s Orange Blossom Candied Cranberries. Measure out 1/4 cup of cinnamon orange sugar and 1 cup of vanilla bean sugar. Combine the two with the water in a saucepan. Cook the water and sugar over medium heat until the sugar dissolves. 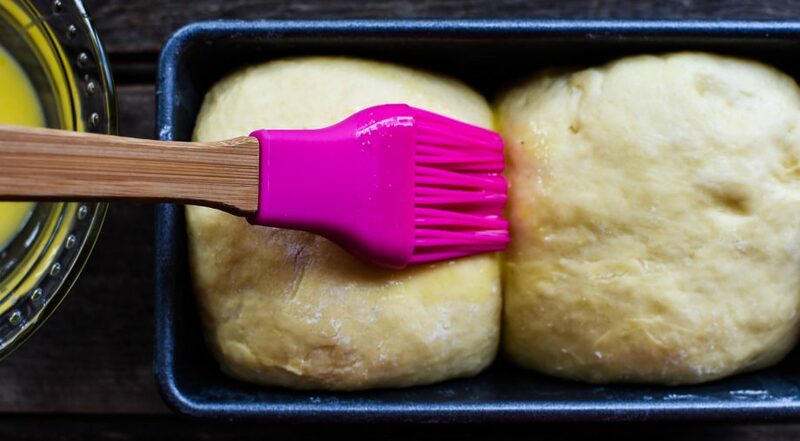 Remove the simple syrup from the heat and let cool for 10 minutes. Place the cranberries and syrup into an airtight container and let sit over night. Mix the remaining sugars together and place on a plate. Drain the syrup from the cranberries. While the fruit is still damp, not dried, roll the cranberries in the sugar mixture. Place the cranberries onto a baking sheet and let dry, about an hour. Store in an airtight container with the leftover sugar. This entry was tagged candied cranberries, candied cranberry recipe, cranberries, homemade candied cranberries, vanilla bean and cinnamon orange candied cranberries. Bookmark the permalink.